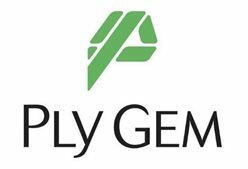 Governor Terry McAuliffe announced that Ply Gem Windows, a subsidiary of leading North American exterior building products manufacturer Ply Gem Holdings, Inc., will invest $1.98 million to expand its manufacturing operation in the Town of Rocky Mount in Franklin County. The company will increase capacity for its vinyl window lines, creating 76 new jobs. Virginia successfully competed against Florida and Georgia for the project. Ply Gem produces a comprehensive product line of windows and patio doors, vinyl and aluminum siding and accessories, designer accents, cellular PVC trim and mouldings, vinyl fencing and railing, stone veneer and gutterware, used in both new construction and home repair and remodeling in the United States and Canada. The Virginia Economic Development Partnership worked with Franklin County and the Town of Rocky Mount to secure the project for Virginia. Governor McAuliffe approved a $100,000 grant from the Commonwealth’s Opportunity Fund to assist the Town and County with the project. The Virginia Tobacco Region Revitalization Commission approved $160,000 in Tobacco Region Opportunity Funds. Funding and services to support the company’s employee training activities will also be provided through the Virginia Jobs Investment Program.